While historically the major conflict within OPEC in recent years had been between Iran, whose oil production had been mothballed since 2013 as a result of the US embargo and which is now eager to regain its roughly 4mmbpd in production, and Saudi Arabia, which successfully picked up market share from Iran, a new source of contention within OPEC emerged last night when Iraq disagreed with OPEC's method of production estimates as reported last night. And now it appears that Iraq - which in August produced between 4.4mmbpd and 4.6mmbpd depending on whose estimates are used, will not be easily placated. 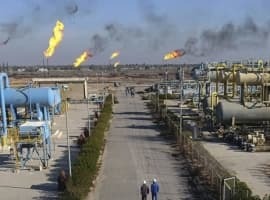 As Reuters details, Iraq, which overtook Iran as the group's second-largest producer several years ago but kept its OPEC agenda fairly low-profile, on Wednesday finally made its presence felt. "What it did, however, pleased neither Saudi Arabia nor Iran." Iraq's new oil minister Jabar Ali al-Luaibi told his Saudi and Iranian counterparts, Khalid al-Falih and Bijan Zanganeh, in a closed-door gathering in Algiers that "it was an OPEC meeting for all ministers", a source briefed on the talks said. Luaibi, it turns out, is also the key OPEC member who "didn't like the idea of re-establishing OPEC's output ceiling at 32.5 million barrels per day (bpd), according to OPEC sources." Continuing the point made first yesterday, Luaibi told the meeting that the new 32.5 mmbpd ceiling was no good for Baghdad as OPEC had underestimated Iraq's production, which has soared in recent years. Confusion followed, according to Reuters sources, and after a debate OPEC chose to impose a ceiling in the range of 32.5-33.0 million bpd - a decision dismissed by many analysts as weak and non-binding. OPEC's current output stands at 33.24 million bpd. "These figures do not represent our actual production," he told reporters. If by November estimates do not change, "then we say we cannot accept this, and we will ask for alternatives". Luaibi went even further and asked a reporter from Argus Media - whose data OPEC uses among other sources to compile estimates of countries' production - to disclose from where Argus' estimates were coming. What Luabi's was outraged by was the delta shown in the table below, which reveals a nearly 300 barrel difference between Iraq's self-reported oil production of 4.638mmbpd and that estiamted by OPEC which amounts to just 4.354mmbpd. As we said last night, just this one difference alone is enough to eliminate the lower end of the proposed OPEC production cut of 250kbpd. If one adds other member states such as Kuwait, UAE and Venezuela, the difference between the two sets of numbers rises to nearly 1 million barrels, or well above the proposed upper bound of the production "cut" agreed upon in Algiers. In other words, unless Iraq (and thus, Kuwait, UAE and Venezuela all relent) to using OPEC production estimates, there will be no production cut unless Saudi Arabia is willing to eat the difference. As Reuters puts it, "Luaibi's revolt shows the fragility of the OPEC deal." Key among them will be to establish at least some semblance of country quotas to make sure members limit global oversupply, which has helped halve prices since 2014 to below $50 a barrel. Iran, which has been exempt from the production cut (explaining why it complied with the terms of the deal) insists it wants to raise output to around 4 million bpd as it emerges from European sanctions. The Saudis have proposed that Iran freeze production at 3.7 million bpd. Riyadh is offering to cut its own production to 10.2 million bpd from 10.7 million but most analysts argue it will fall to such a level anyway as the summer heat eases, reducing the need for cooling. It would have to cut much more if the "outlier" nations demand that their own production estimates are used. 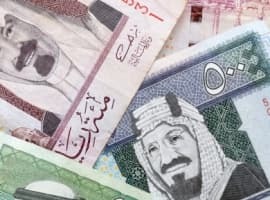 While for some yesterday's deal is confirmation that the Saudi strategy implemented in November 2014 has been a failure, such as Michael Wittner, head of oil research at Societe Generale, who said that the decision shows Saudi Arabia is turning its back on letting the market manage supply, it remains to be seen what if any actual production cut will actually be reached. For now, OPEC has achieved what it wanted: a spike in oil for the next two months. When the time comes to dealing with the consequences of another disappointed market reaction once OPEC reveals no final deal in Vienna in November, well at least OPEC will have sold a few billion barrels at far higher prices in the interim. To summarize, as Reuters quoted one OPEC source, "The deal is a bit of a farce." Wouldn't be surprised if this was intentional to try to temper excitement. Saudi's still fear prices getting around $60, as it will stimulate the real boom/bust shale plays in the US. 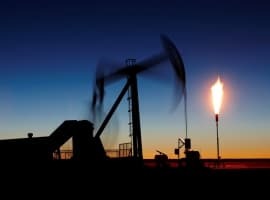 The goal will still be a slow improvement of oil prices, and when off-shore production starts to plummet starting at the end of next year due to what will be multiple years of minimal investment and demand growth adds another 1-2M+ per day, there will be a place for shale as prices go up a little more. ZeroHedge seems to present only negative information. I suppose, fear sells. The price of oil is on the way up. We will have gyrations and volatility along the way.